At the helm, noted director Paul Stancato (Lion King). He guided us through our first NYC production experiences with patience, grace & inspiration, We learned a lot from Paul and we were pleased to open the world of "Roofless" up to him as well. We're excited that he'll also be on board for the next steps on this Roofless journey! Thx Paul! LIL MAN (Marquis Rodriguez) & MARQUEE (Ben Mapp) summon TAGZ (Adam Matta) to magically transport them back to 2004...yeah, "magically" lol. Casting Assistance donated by Wojcik - Seay Casting! NYC CASTING OFFICIALLY BEGINS! - 1ST NYC ROOFHEAD: KHALID GREENS! 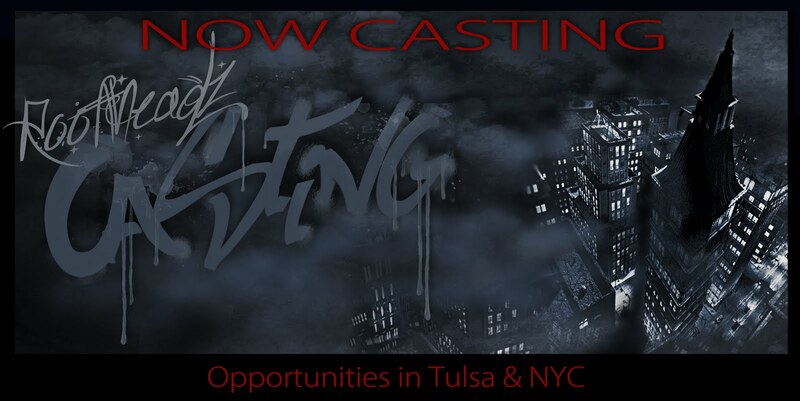 NEW YORK CASTING HAS OFFICIALLY BEGUN!!! 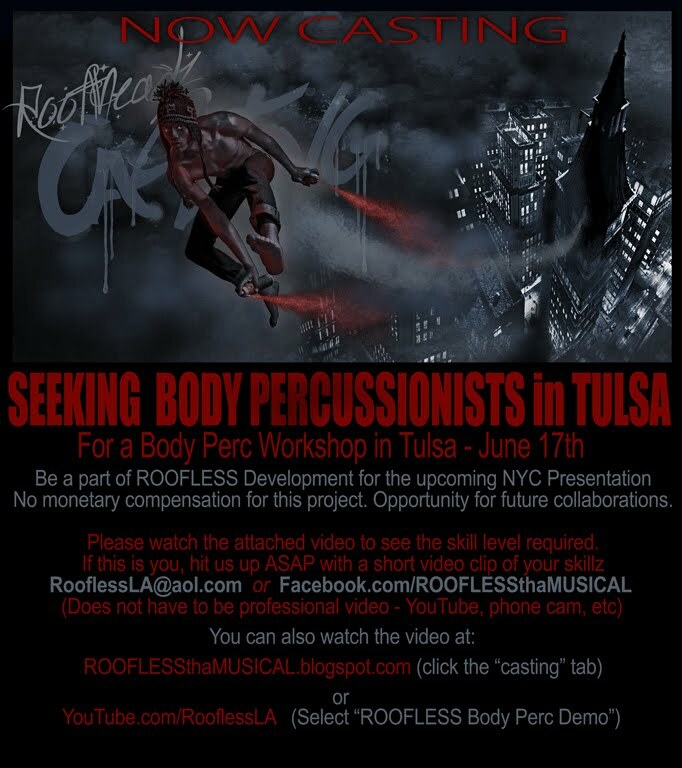 We also would like to introduce the first official NYC ROOFHEAD - Body Percussionist extraordinaire KHALID GREENS has joined the cast for our NEW YORK MUSICAL THEATRE FESTIVAL Presentation. Talk about startin off on the right foot! 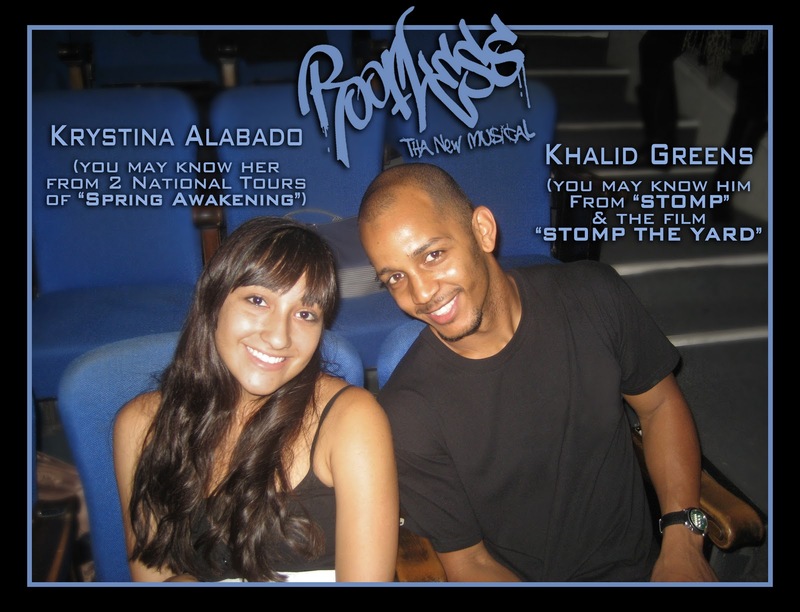 Khalid is a featured performer in STOMP! OUT LOUD (Vegas) His resume also includes many other notable stage and film performances including the film "STOMP the YARD." Check out his skillz in this excerpt from his STOMP! Video - a piece entitled "New Shoes" - Welcome to tha ROOF Khalid! Lets create some new new homie!!! THX FOR A GREAT SEND=OFF PARTY TULSA! There was so much love and wild, goofy madness in the room tonite we could barely stand it! hahaha. Thx for all the supppot Roofheadz old and new! CONGRATS TO DANA WILDE of San Clemente CA - winner of the ROOFLESS iPAD!! And congrats to all the Tulsa homiez who left the party tonite with all kinda gift cards, free this's and thats from our sponsors! Shout out to B-boy Boogi of Movement918 for emceeing for us & DJ Freeze for spinnin, and to Twisted Tilt Sports Bar & Grill not only for hosting us --- but all tha waiters who were sellin raffle tickets for us too! Now THATs wassup! The fun is only beginning! Lots of "WHAT?!! !-provoking" Roofless news will be posted in the coming days as our Sept 28 NYC premiere approaches. Stay tuned! ON-LINE DONATIONS WILL BE ELIGIBLE FOR THE ROOFLESS RAFFLE AS LONG AS THEY ARE RECEIVED BY 9:30 PM (TULSA TIME) AUG 13th. DON'T FORGET DONATIONS ARE WELCOMED & ENCOURAGED AFTER THE RAFFLE IS OVER AS WELL!!!!! DONATIONS CAN BE MADE THROUGH OCT 1ST!!!! SCROLL DOWN FOR THE DETAILS OF TONITE'S SEND-OFF PARTY!!!!!! 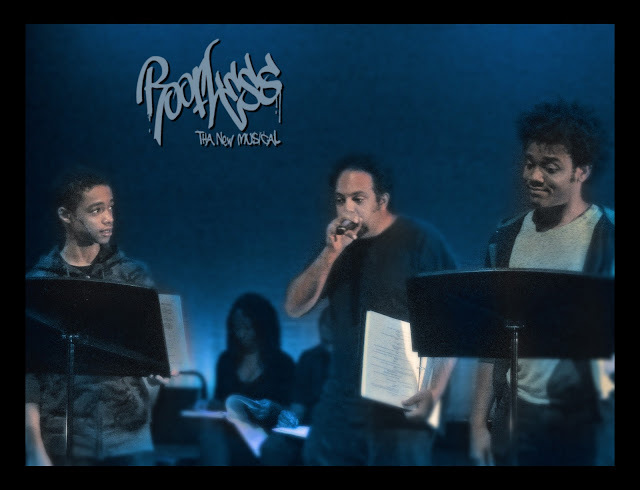 "LION KING" DIRECTOR SIGNS ON TO "ROOFLESS" at NYMF! MORE BIG NEWS! We are thrilled to announce that fresh from a 4-year stint as Resident Director of THE LION KING National Tour, PAUL STANCATO has signed on to direct our NYC Presentation of "ROOFLESS!" WHA?!! Yeah. 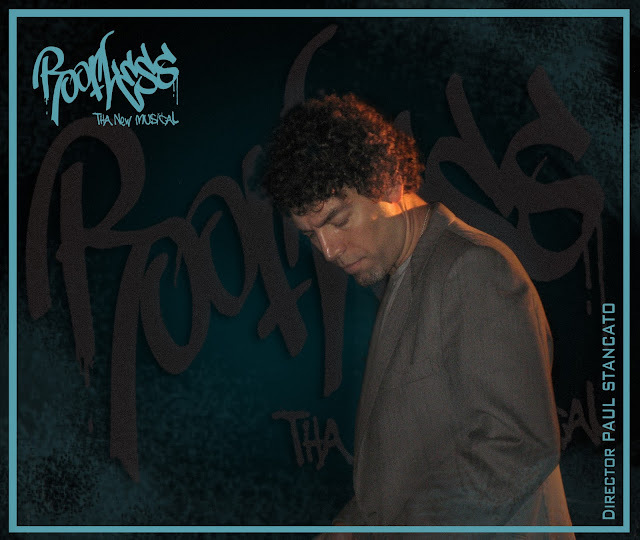 - Not only will he bring mad skill and vision to our show, his eagerness to involve himself in "ROOFLESS" is a GREAT omen for the future of tha ROOOOF! WELCOME PAUL! Paul is an award –winning director/choreographer who has just stepped down from a 4-year run as the Resident Director for the National Tour of Disney’s The Lion King. 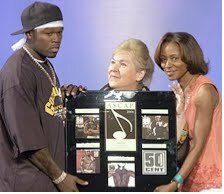 (2008 Helen Hayes nomination for Best Touring Musical). In 2007, he directed the First National Tour of The Wedding Singer and was also one of six choreographers selected for DanceBreak. He was the Assistant to Rob Ashford for the Broadway show, The Wedding Singer (Tony nomination for Best Musical and Best Choreography). Other directing/ choreographing credits include: Crazy For You, Godspell, Guys and Dolls, Zombies from the Beyond, Rockshow and Heart Rising (World Premier), Einstein’s Dreams (Best Direction award New York Fringe Festival, New York Premier) He was co-founder and Artistic Director for critically acclaimed theatre company Aporia Players from 1996-2003. He has taught acting and directing master classes at: Vanderbilt, SUNY Purchase NY, University of Florida and Michigan State. He taught Acting and Acting for the Camera at Marymount Manhattan College in New York. 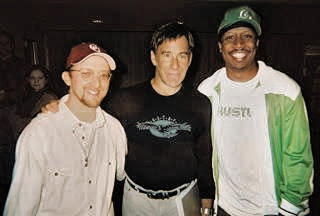 Paul has been a performer with Blue Man Group (Blue Man) and De La Guarda (original New York cast member/ Captain) Member of SSDC, Equity, AFTRA and Lincoln Center’s Director’s Lab. MFA from University of Florida. 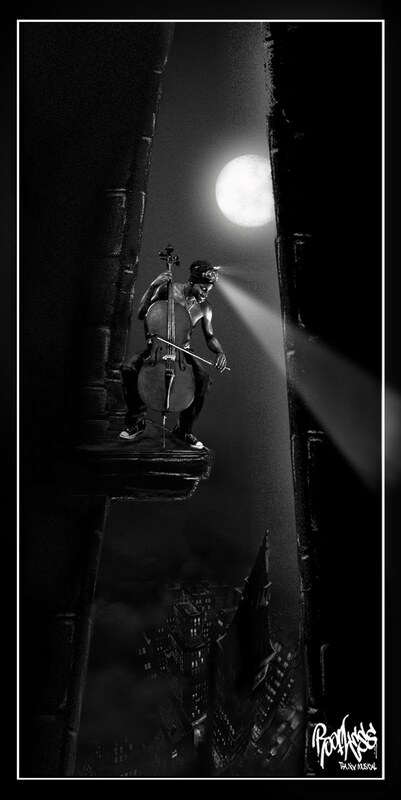 He is represented by Abrams Artists in New York. 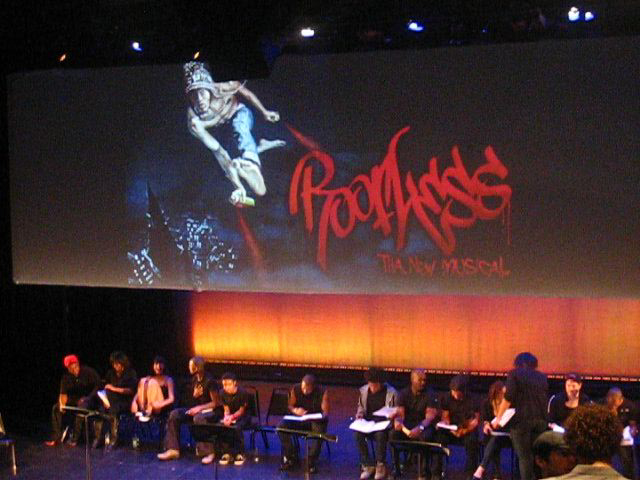 ROOFLESS is one of 30 musicals selected from nearly 500 entries to this year’s festival. The New York Musical Theatre Festival, now in its seventh year, has premiered more than 200 new musicals since 2004, including last year’s Broadway hit “Next to Normal” (3 time Tony winner, including “Best New Musical” - also awarded the Pulitzer Prize, 2010.) The largest musical theater event in America, NYMF has been hailed as "the Sundance of Musical Theatre," and is widely regarded as the key source for new material and talent discovery. NYMF is the flagship program of National Music Theater Network, Inc., a 501(c)(3) not-for-profit organization. 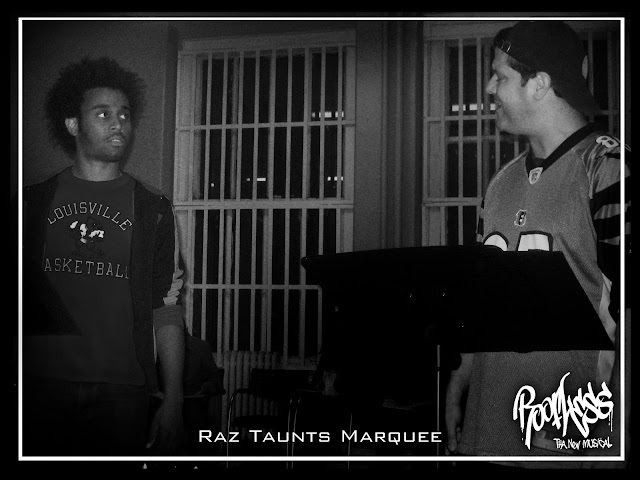 Of course "Roofless" is packed full of big production numbers but here's a peek at one of the small, intimate scenes between Marquee and his loving father...hahaha. These rough recordings were made during workshops in Tulsa OK in late 2009. "Father" is performed by our longtime homie & talented LA based actor Michael Fruga. 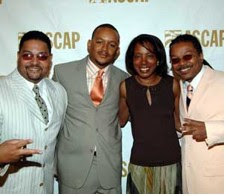 "Marquee" is performed by co-composer Jerome Johnson. ROOFLESS is properly vernaculared...& for good reason. 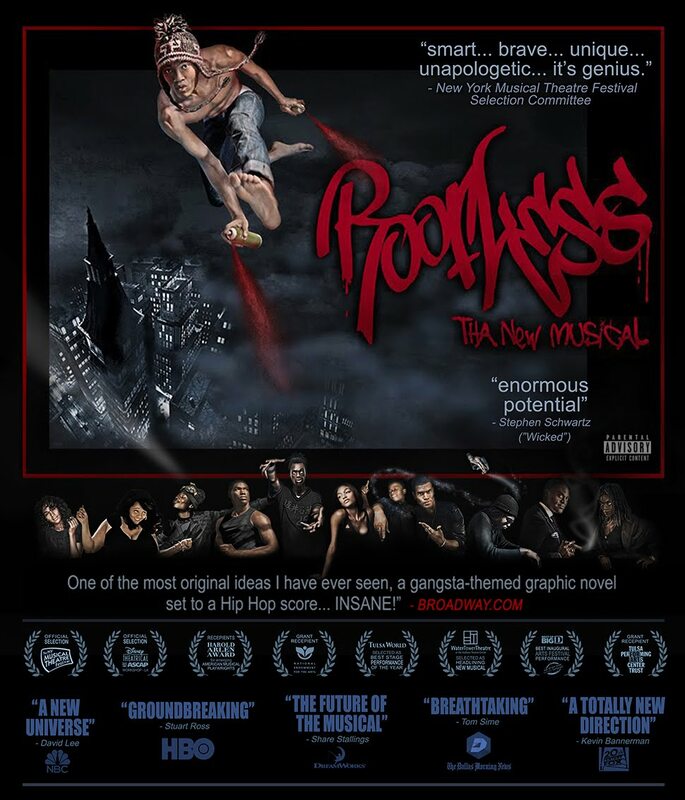 Part of the unique quality of "Roofless" is the combination of realness and fantasy, the balance of magical sparkles & blood splatter, lol... traditional Musical Comedy and Hip-Hop rawness. Jerome and I have mad love for musical "cheesiness" & a good healthy irreverence for it at the same time. Part of maintaining that gritty-and-glittery balance in the show is our decision to write the dialog & lyrics with an uncensored realness. Editing the language of these characters would vastly decrease the undercurrent of authenticity - the hard truths which are the foundation of this show. Without that foundation, the story would just sink into a BP-sized oil-slick of cheesy sludge. Not typically what you'd hear in a musical...but hey, "typical" ...thaz not wassup. Truth. Aite... this may sound like name droppin, and yeah, I guess it is in a way lol…but we think its important that our Roofheadz, fans & followers know the names of those professionals who have taken time to review “Roofless” and offer us critiques, notes & most important, their encouragement to stay on tha grind. This type of generous help by professionals often goes unheralded. So now that we've got a blog, we're heralding!!! Much respect to our Musical Theatre Elders! In a career spanning over four decades, Schwartz has written such hit musicals as Godspell (1971), Pippin (1972) and Wicked (2003). He has also contributed lyrics for a number of successful films, including Pocahontas (1995), The Hunchback of Notre Dame (1996), The Prince of Egypt (1998; music and lyrics) and Enchanted (2007). His well-known film songs include the Academy-Award-winning "Colors of the Wind" and "When You Believe," and date back to the 70s with "Day by Day," "Beautiful City," and "Butterflies Are Free." Schwartz has won almost every major award in his field, including three Oscars, three Grammys, four Drama Desk Awards, one Golden Globe Award and a self-described "tiny handful of tennis trophies." He has received five Tony Award nominations, for Wicked, Pippin, and Godspell, music and lyrics; Rags, lyrics; and Working, music, lyrics, and book. 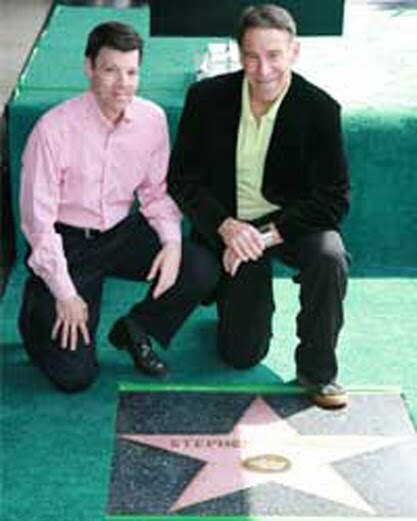 In April 2008, Schwartz was given a star on the Hollywood Walk of Fame. 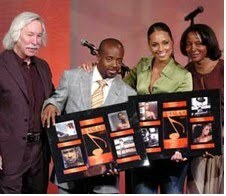 In the 2009, he was inducted into the Songwriters Hall of Fame, and in January of 2010 he was inducted into the American Theatre Hall of Fame. Schwartz's star is in front of the Pantages Theatre, where WICKED is in its second year. WICKED, which opened on October 30, 2003 in New York, is truly a worldwide phenomenon with four companies in North America, as well as productions in London, Tokyo, and Stuttgart, and a fourth international production opening next summer in Melbourne. When WICKED plays its 1900th performance in New York later this year, he will become the only writer of any kind ever to have three shows – WICKED, "Pippin" and "The Magic Show" run more than 1900 performances on Broadway. He also wrote music and lyrics for the worldwide phenomenon "Godspell." time and knowledge pay off! DEAN PITCHFORD is a screenwriter and songwriter who entered American film in 1980 after appearing as a replacement in “Pippin” on Broadway in the 1970s. He wrote the screenplay for “Footloose” (1984) and adapted it to the Broadway stage for the 1998-1999 season. He also wrote the lyrics for the Broadway production of “Carrie” (1988). Other writing credits include “Sing” (1989) and “The Washing Machine Man” (1991). He wrote the theme song for the TV series “Solid Gold” (1980) and “Fame” (1982), as well as the lyrics for the song “The Man in the Mask” for “The Legend of the Lone Ranger” (1981). 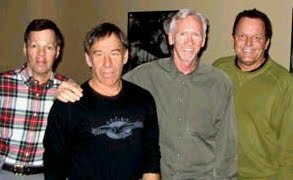 His song “Holding Out for a Hero” was used in Bandits (2001). KIMBERLY GRIGSBY Music directing/conducting credits include, on Broadway, The Light in the Piazza (lyrics & music by Adam Guettel); Caroline, or Change (music by Jeanine Tesori); The Full Monty (music by David Yazbek); You're A Good Man, Charlie Brown; and Twelfth Night (music by Jeanine Tesori); and Off-Broadway, Spring Awakening (music by Duncan Sheik), Two Gentlemen of Verona; Songs From an Unmade Bed (various composers, lyrics by Mark Campbell); Junie B. Jones (music by Zina Goldrich); The Immigrant (music by Steven Alper); Radiant Baby (music by Debra Barsha); and Twelfth Night (music by Duncan Sheik). For her work on Caroline, or Change in Los Angeles, she received the 2005 Los Angeles Drama Critics' Circle Award for Music Direction; and for The Philadelpha Theatre Company's production of Elegies (lyrics & music by William Finn) she received the 2005 Barrymore Award for Music Direction. Additional regional credits include Floyd Collins (music by Adam Guettel) and The First Picture Show (music by Jeanine Tesori). Other collaborations include My Life Is A Fairy Tale and Orphan of Zhao, both with lyrics & music by Stephin Merritt for Lincoln Center Festival; Love's Fire (Adam Guettel); O Pioneers! (Kim Sherman); Fools Rush In (Steve Marzullo); Telaio: Desdemona (Susan Botti). Ms. Grigsby holds degrees from Southern Methodist University and Manhattan School of Music. 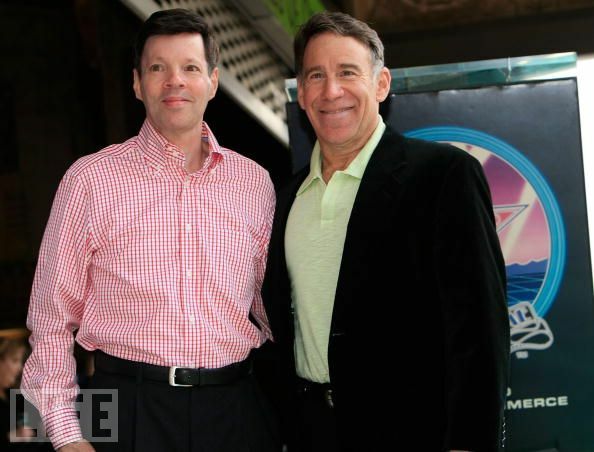 JACK VIERTEL Artistic Director of Encores!, is also the creative director of Jujamcyn Theaters, in charge of creating and identifying new projects for the company's five Broadway theaters. Current and recent productions include Doubt, The Producers, Jersey Boys, Sweeney Todd, Proof, Gem of the Ocean and The Wedding Singer. He has helped shepherd five of August Wilson's plays to Broadway, worked on Angels in America, Into the Woods, and M. Butterfly, among others. 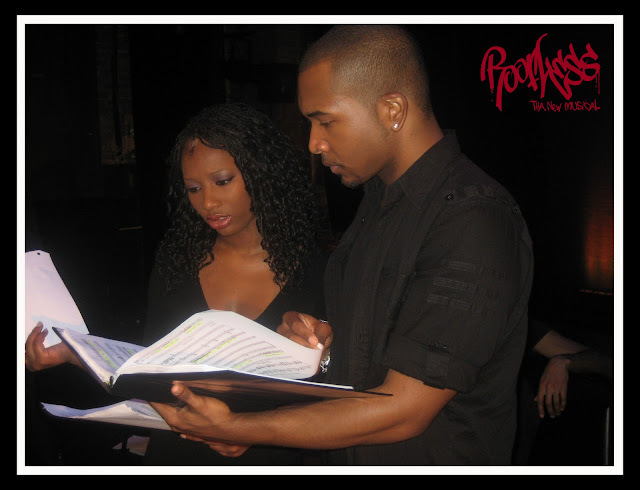 He conceived and co-produced the long-running musical revue Smokey Joe's Cafe, served as dramaturg for The Wedding Singer and Hairspray, and is the coauthor of the musical Time and Again. He spent two years as dramaturg of the Mark Taper Forum in L.A., and began work in the theater as a critic for the Los Angeles Herald Examiner. Hopefully they’ll eventually see our work and I’ll eventually shake their hands & thank them for helping shape decades of my creative growth.